Sciblogs | What can go wrong in the blood? While blood is essential for human life, there are many things that can go wrong. And as it travels around the body and flows through every organ, problems in the blood can have wide-ranging implications for our health. 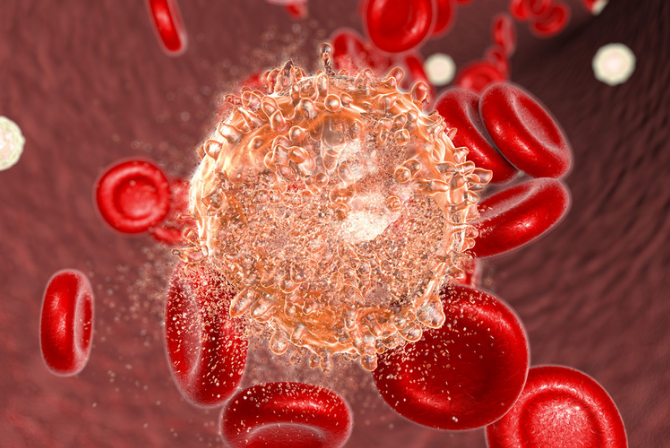 There are countless problems that can occur in this vital fluid; here, we’ll have a look at the most common – bleeding disorders, clotting disorders and blood cancers. If our blood vessels are damaged in some way, the blood contains platelets and many clotting factors (or proteins) that will form a clot in order to stem blood loss from our veins. If the number or function of these platelets or clotting proteins is reduced, this will lead to a “bleeding disorder”. Platelets are produced by the marrow in our bones, and clotting factors by our liver. Both are affected by our individual genetic makeup. Therefore genetic abnormalities that adversely affect the function of either organ can result in bleeding disorders. Major trauma to blood vessels can also cause excessive bleeding that requires surgery. 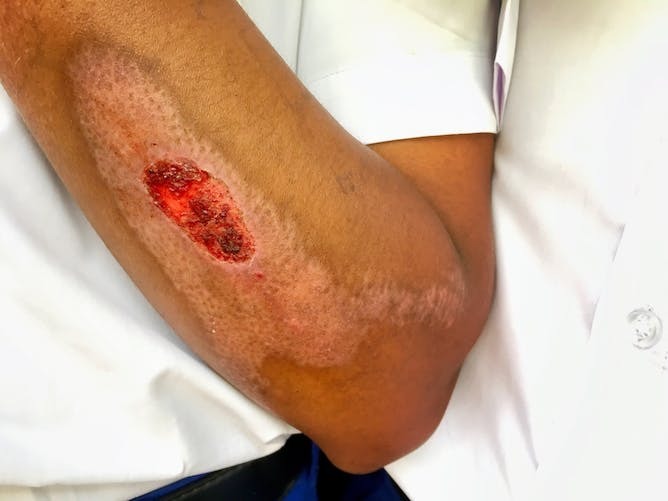 Patients with disorders of their platelets typically present with bruises, fine spots on the limbs or trunk, or recurrent nose or gum bleeds (called “muco-cutaneous bleeding”). Those with deficiencies in clotting factors may have joint, muscle or critical organ bleeds such as an intracranial haemorrhage (a bleed inside the skull). Women can present with excessive menstrual bleeding. Patients with a hereditary bleeding disorder often have a family history of excessive bleeding. Those patients with milder forms of bleeding disorders might present with excessive bleeding for the first time only after surgical procedures or major trauma. The diagnosis of bleeding disorders is complex and requires a careful assessment for an excessive bleeding history, the presence (or absence) of a family history, and extensive laboratory evaluation of the platelet and clotting factors by a blood specialist, called a haematologist. A bleeding disorder you’ve probably heard of is haemophilia. This is a bleeding disorder caused when someone has less than 40% of the normal level of clotting factors (specifically, factor VIII). This is relatively rare, with about one in 10,000 people (0.01% of Australians) suffering from the disorder. Haemophilia is associated with joint and muscle bleeds, and sufferers need this clotting factor to be replaced in their blood for the rest of their lives. The treatment of bleeding disorders depends on the diagnosis and severity. Those with a deficiency in a clotting factor can receive a factor concentrate replacement, the frequency of which depends on its severity. Treatment of platelet defects is complex, but can include platelet transfusion. Tranexamic acid is a drug that can also be used to help prevent bleeding. Patients with hereditary bleeding disorders can bleed significantly (and to death) if not given the correct treatment to stop the bleeding or prevent bleeding prior to surgeries. While it’s necessary for our blood to be able to form clots, if clots form inside blood vessels when no injury has occurred, this can have significant consequences. “Thrombosis” refers to the formation of a blood clot inside a blood vessel, impeding blood flow. A part of the clot can break off and travel further around the body, a process called “embolism”. Thrombosis can develop in the arteries (vessels transporting blood from the heart to the organs) or the veins (vessels transporting blood from the organs to the heart). A blockage in the arteries (arterial thrombosis) blocks the blood supply, causing a shortage of oxygen and glucose that are required to keep our tissues alive. Venous thrombosis (blockages in the veins) impede the blood flow from the organs to the heart. In both instances, embolism can occur. Blood needs to clot so we don’t lose all of it when trauma damages our blood vessels. A common clotting condition that involves the veins is “venous thromboembolism” or VTE, which includes both deep vein thrombosis (DVT – a blood clot in a deep vein, often in the legs) and pulmonary embolism (PE – a blockage in the lungs). This is where the blood clot moves from a deep vein to the lungs. Surgery, major trauma or prolonged immobility can all be causes of venous thromboembolism. But there are other risk factors that alter the constituents of the blood, to promote thrombosis. These include the oestrogen oral contraceptive pill, pregnancy, inflammatory bowel disease, heritable thrombophilia (an inherited abnormality making clots more likely to form), and several others. Deep vein thrombosis causes leg pain, swelling and redness, while pulmonary embolisms cause chest pain, shortness of breath, coughing up blood (haemoptysis) or collapse. All of these symptoms can be caused by other things, so thorough investigations are needed to confirm the diagnosis. The treatment for these conditions is principally to rebalance the coagulation system using anticoagulants. Until recently, the only oral anticoagulant was warfarin, a drug that can have significant food and drug interactions, hence requiring frequent blood testing to monitor its control. But new and superior anticoagulants (such as apixaban and rivaroxaban) have been created that don’t require regular blood tests. They also appear to be safer with a lower risk of major bleeding, including intracranial haemorrhage. Antidotes exist in case the patient bleeds (needs surgery or is in an accident) and needs clotting. Clots in the arteries can lead to myocardial infarction (a blockage in the heart), and ischaemic strokes (a blockage in the brain) – both are part of cardiovascular disease. Smoking, high blood pressure, high blood cholesterol, diabetes, obesity and a family history can increase the risk of clots in the arteries. Heart attacks can lead to heart failure, while strokes can lead to loss of function and sensation of limbs, and both can lead to death. So it’s important to address the risk factors to minimise the risk of these occurring. If they do develop, antiplatelet medications (such as aspirin) and others can be prescribed to prevent it from happening again. Some patients have to have stents placed where the blockage occurred to prevent it from recurring. Blood cancers occur when there is an uncontrolled growth of blood cells, which can infiltrate tissues and cause disease. The main types of blood cancer are leukaemia, lymphoma and myeloma. A haematologist also treats these types of cancers. 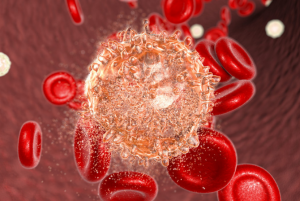 The symptoms of blood cancer differ depending on the type of blood cell that has turned malignant, and where they are present. Leukaemia is a cancer of immature white blood cells that accumulate in the bone marrow and often spill out into the blood. Leukaemias are categorised as acute or chronic depending on how fast they grow. Acute leukaemias are aggressive cancers that require intensive chemotherapy in hospital. For many patients, the only chance of cure is through bone marrow transplant, essentially replacing their entire blood cells and immune systems with that of another person, either a relative (usually a sibling) or even an unrelated but genetically compatible donor. Acute leukaemia is the most common childhood cancer, and can often be cured. But in adults with increasing age, and particularly over 70, it becomes more difficult to cure. Leukaemia is one of the most common blood cancers. Chronic leukaemias tend to only occur in adults. They are slow growing and some types have no symptoms, meaning treatment isn’t necessary. If the cancer is progressing or causing symptoms, therapy is given as an outpatient (meaning they don’t have to stay in hospital). Lymphomas are a group of blood cancers that arise in a type of blood cell called lymphocytes (a type of small white blood cell found in the immune system). It causes swellings in the glandular or “lymphatic” system that fights infections and removes toxins from the body. Lymphomas are the most common type of blood cancer. There are two main types of lymphoma, characterised by the presence (or lack of) an abnormal cell called the Reed-Sternberg cell. If the cell is present it’s referred to as Hodgkin Lymphoma – named after the British physician who discovered it. Hodgkin lymphoma occurs mainly in adolescents and young adults and makes up about 10% of cases. About 90% of lymphomas are “non-Hodgkin lymphoma”, which mainly arise in the elderly. Treatment is usually chemotherapy and sometimes radiotherapy. While survival rates for Hodgkin Lymphoma are over 80%, there are many different subtypes of non-Hodgkin lymphoma, and outcomes vary considerably between subtypes. Myeloma is a cancer of mature white blood cells and affects the bone. It usually occurs in those over the age of 60, and is treatable with chemotherapy and, increasingly, newer and less toxic medications. However it remains generally incurable.